Attuned to the external environment. Drawn to the inner world of thoughts and ideas. 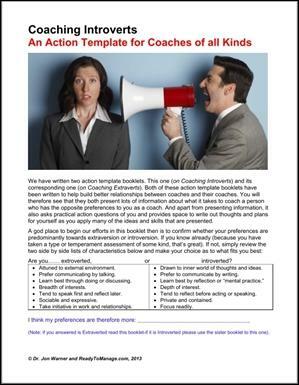 If it’s the first list you are an extrovert and may seek to coach others in the expectation that the people you are coaching have similar preferences to these. 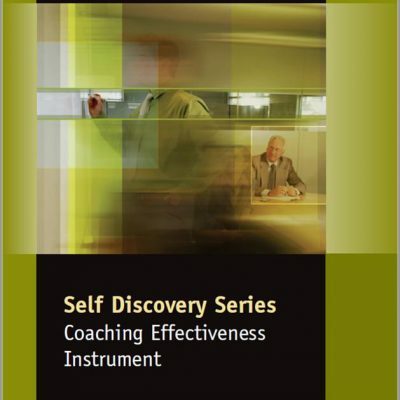 However, as much as half of the population has their preferences in the second list and it is, therefore, wise to better understand these in order to improve our overall coaching effectiveness. 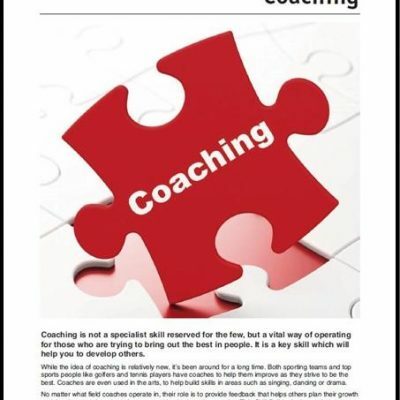 The booklet then goes on to offer some advice on how to coach introverts as a result of this better appreciation. 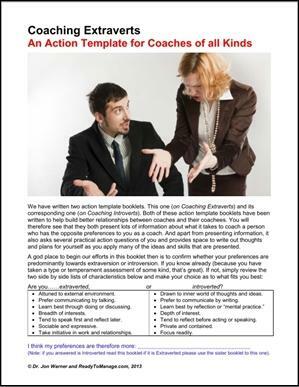 This action-oriented resource, therefore, presents lots of information about what it takes to coach a person who has the opposite preferences to you as a coach. Apart from presenting information, it also asks practical action questions of you and provides space for reflection, i.e., to write out thoughts and plans for yourself as you apply many of the ideas and skills that are presented.